In 2012 we were tasked by the Western District Conference of the Mennonite Church USA with preparing a Masterplan for Camp Mennoscah on the Ninnescah River near Murdock, KS. The camp had been in operation for a number of years and offered campers and visitors a plethora of activites already. 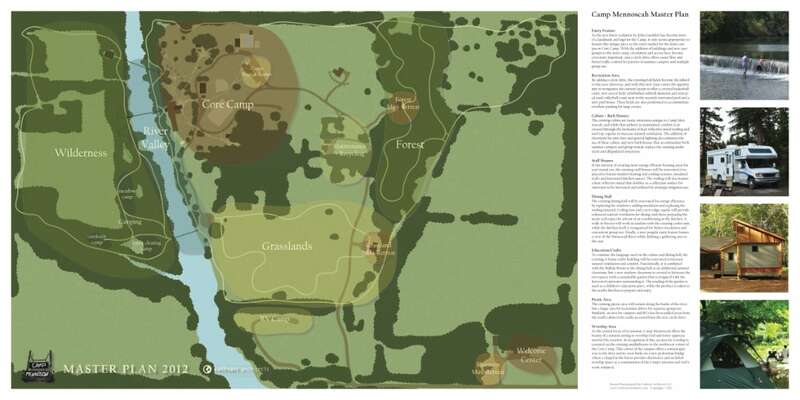 The Masterplan defined several areas to be explored and enhanced in the coming years; the Welcome Center, the Core Camp, the Forest, the Grasslands, The River Valley, the Wilderness and the RV Camp. 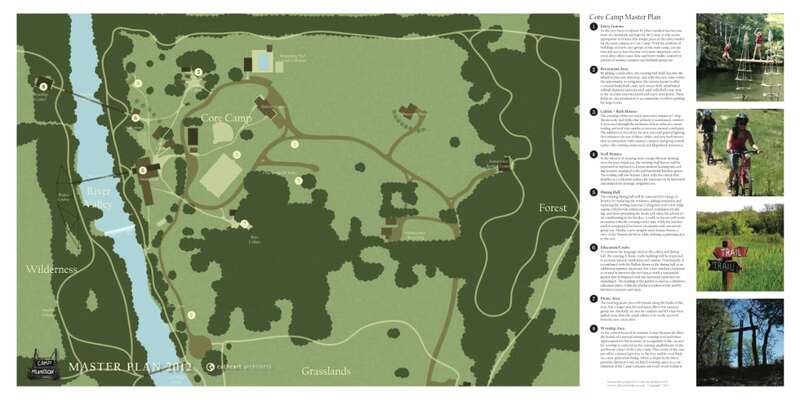 The masterplan calls for several new retreat centers that can be used by campers as well as groups needing meeting spaces. Many new hiking trails will be implemented throughout the campgrounds with focused walks in the areas mentioned above. High ropes courses, zip lines, etc. are in the mix as well. The plan is to extend the use of the grounds to more than just summer campers to a more diverse set of users.